Last March in Lodja, Sankuru province, RDC, Energy Assistance volunteers raised a new challenge: two weeks of work, more than 2000 m of laid cables, 21 solar panels installed, 24 batteries and an inverter placed in a secure room and 50 classes equipped with LED lighting, switches and sockets. It’s more than 300 children from preschool, primary and secondary schools will be able to benefit from this new power plant. 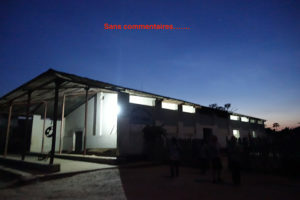 In addition, the School of Mums could has been able to open in the evening and evening classes in computer science started. 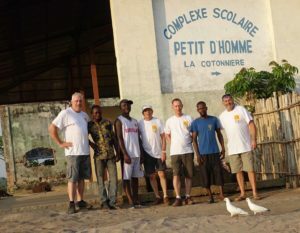 No doubt that Pastor Pierre-Albert Ngueliele is already overflowing with future educational projects. The health Center has also benefited from these facilities, to the great satisfaction of Dr. Jean Reynders.